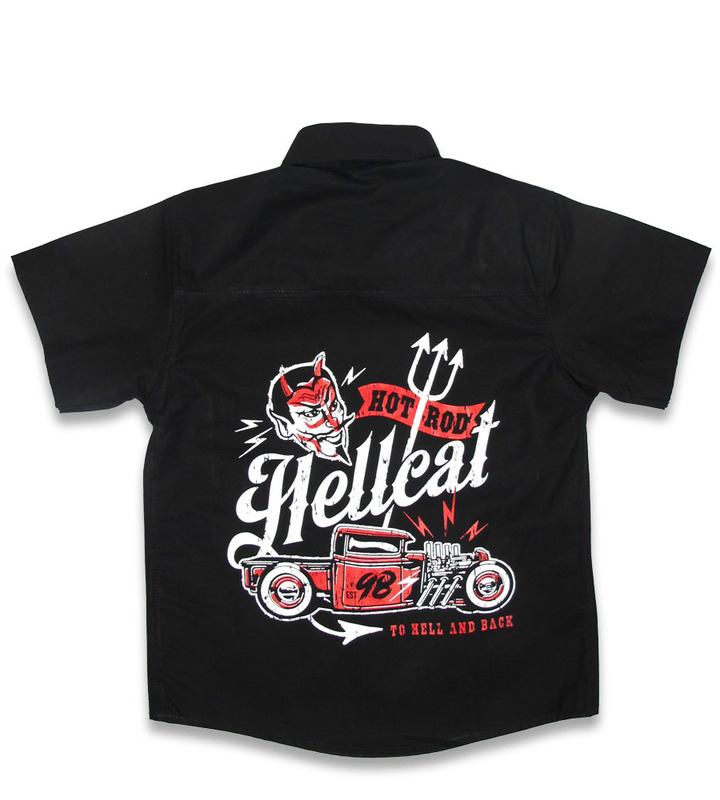 Nothing says “Rockabilly” quite like a retro car. 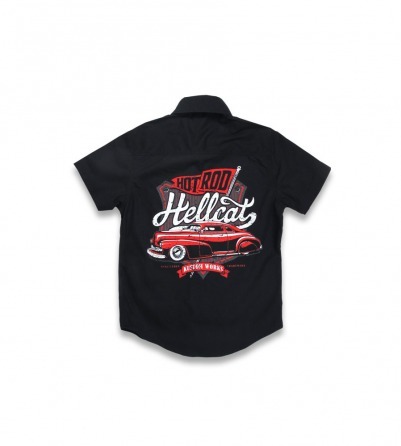 Gorgeous reds beam vibrantly in this Hotrod Hellcat Kustom Works kid's work shirt. 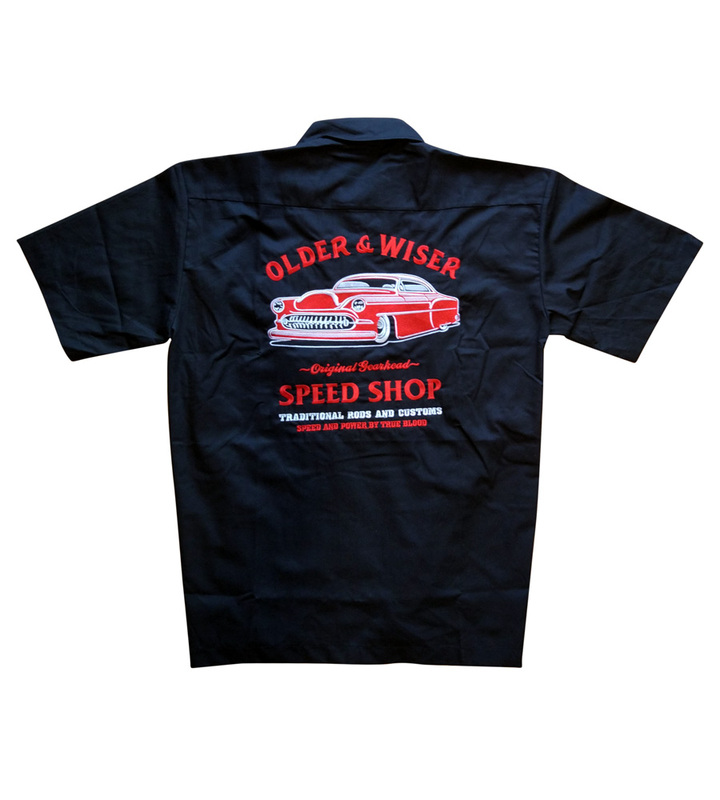 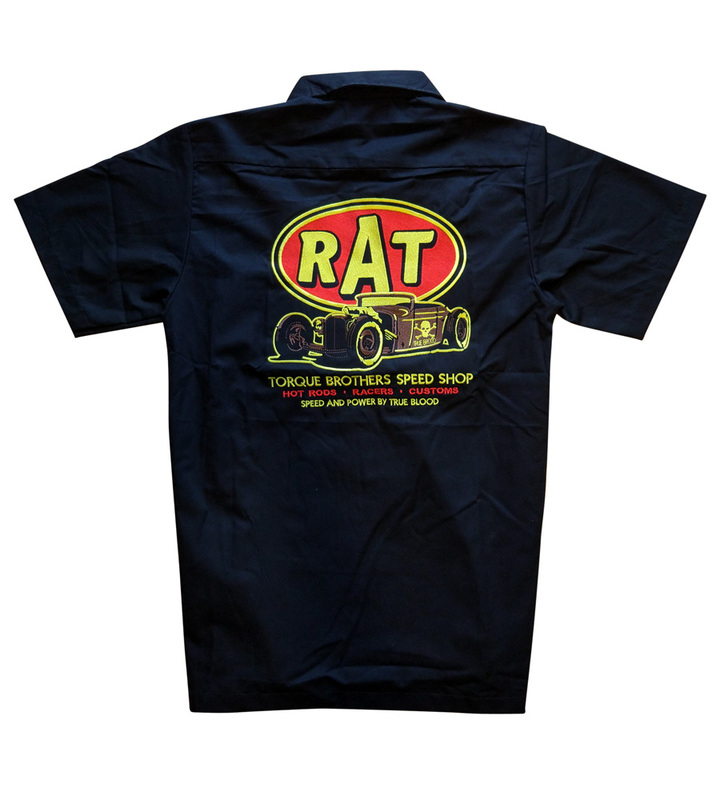 With a button up closure and collared top, this classic car racer shirt can be worn on its own or with a long-sleeved rockabilly shirt underneath.